Happy Cinco de Mayo! 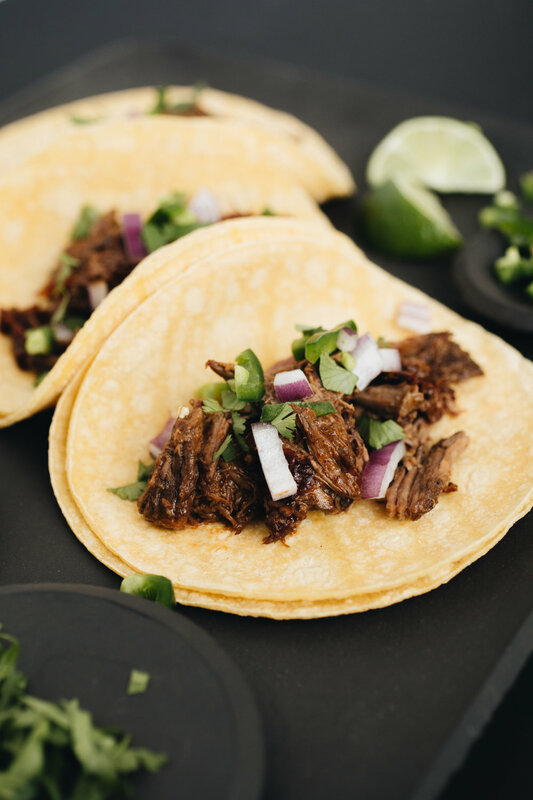 Any sort of celebration that involves tacos + margaritas is my kind of holiday! 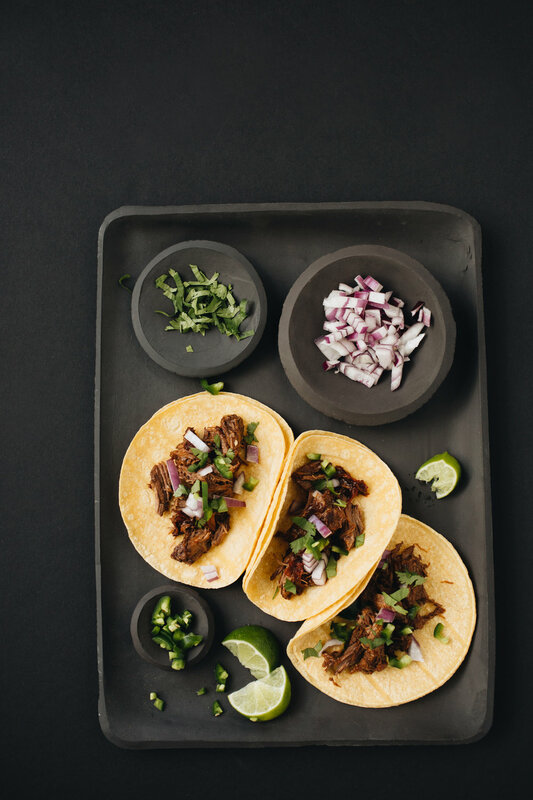 Today I'll be sharing some amazing taco + marg recipes from my foodie friends, Natalie Gravois and Caley Goins. When I first started this blog, I knew I wanted to feature recipes and food images but honestly I had no experience in this department. I was sharing this thought with a friend and she encouraged me to not be afraid of the unknown - to be intentional, to ask for help, and most importantly...to SEEK OUT COLLABORATIONS! Keep in mind, this goes against my solitary nature and reaches way past my comfort zone! But so many wonderful things have happened as a result of living my life with more intention + purpose. Yesterday I had the pleasure of hosting fellow bloggers, Guacmylife and Wilder Blog to cook tacos and make margaritas in my kitchen! If you haven't heard of them, you should totally check them out! 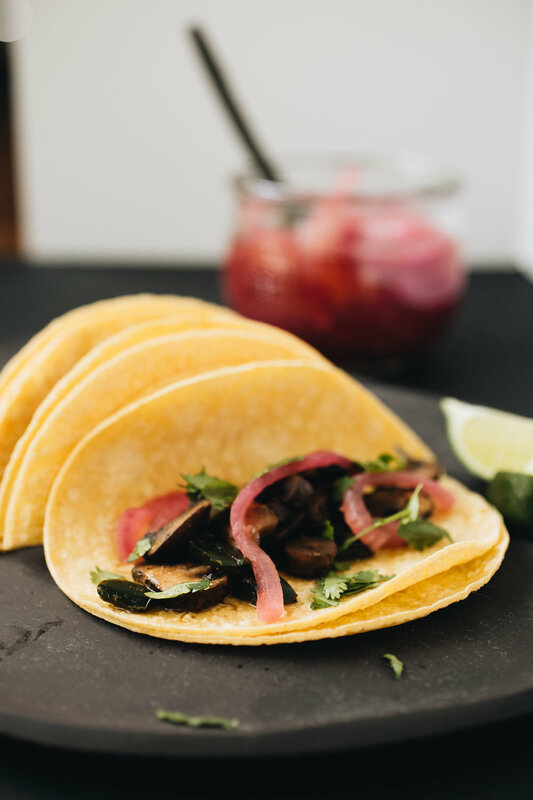 Natalie is a food blogger that has a seriously love for anything involving guacamole or tacos. Not to mention she is a mom to a cancer survivor, ya'll! And Caley is photographer and blogger who is so beautiful, authentic and is a fellow Enneagram 4! She writes about her struggle with auto-immune disease and shares her yummy GF recipes with others that suffer from similar illnesses! They are both so inspiring and I am so thankful to call them amigos! Keep scrolling to get links to the taco recipes + the recipe for our simple spicy limeade margarita! Simply mix together tequila, limeade, and crushed ice. Rub the brim of your glass with lime juice and dip in the salt and spicy seasoning mix. Easy breezy! Also, be sure to check out Civil Stoneware - who partnered with us and provided all this beautiful black pottery!